From a really fun album by Italian disco grandfather Giorgio Moroder. At this time he was known simply as Giorgio. These tunes pack the same glam rock - bubble gum punk punch as 'Police On My Back' by Eddy Grant. I know Europe was a killer place to be in 72. I'm just saying. Giorgio was of course one of those pioneers of analog circuitry in pop music and it shows immensely in this early stuff. Leading the way in early italo sound and pioneering the synthesiser like no one else. He's been behind everything from Donna Summer to Electric Light Orchestra. On film he's set a fantastic mood for everything from Scarface to Flashdance, Midnight Express to Metropolis. This album is lesser know in the public eye, yet loved by at least two groups I can think of that are both worlds apart. It's liked by fans of early glam and bubble gum as a decent pop dance record and B-boys know this LP for the epic break beat organ number 'Tears' sampled by DJ shadow. Both of these songs (and any from this LP) could easily be the missing music for a dance club scene in Clockwork Orange. It's groovy and silly yet extremely enjoyable. This bubble gum pop with heavy fuzz and early use of synthesisers is brilliant in overall production sound. One could easily see that Giorgio was well on his way to becoming the huge music mogul we now know so well. 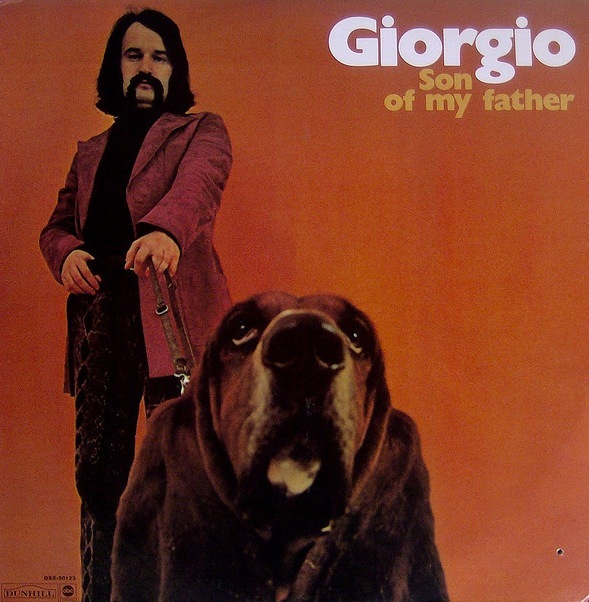 His earlier work like 'That's Bubblegum - That's Giorgio' is more straight forward bubble gum pop. This album branches out into cosmic, the roots of italo and psych rock. Brilliant stuff.